The history of Dark Legacy goes back to 1996. The band was formed in the little Swedish village Örsundsbro under the name Rest In Peace. As a loudplaying heavy metal band they played covers of famous heavy metal acts. After many live concerts and some changes in the lineup, the band picked a new name and changed direction in 2005. 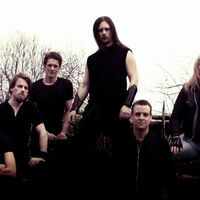 Musically Dark Legacy went into darker territories and the sound can be described as symphonic death metal. 2018 Black Empire Music Ent.